PGA is a subconsultant to the Atkins North America team that was selected for the I-75 at SR 70 Interchange reconstruction project for FDOT District One. We will provide support to Atkins drainage staff by preparing the Pond Siting Report. PGA is also part of the PB Americas team that was selected for the FDOT District One District Wide Drainage contract. We will provide additional support to help PB meet the Department's drainage needs. Gordon participated in the presentation with Atkins North America and were selected to perform design services for the Glades County School Board to add turn lanes on US 27. PGA will provide drainage design support to Atkins on this project that will bring much needed traffic improvements to this area. 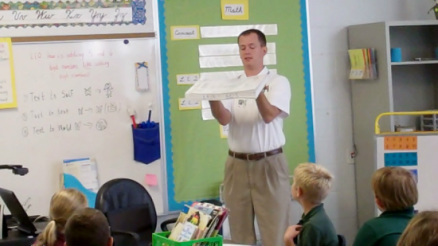 Gordon Greene visited local school, Bartow Elementary Academy (BEA), to give a brief presentation on transportation engineering. BEA is a STEM school, which means they add focus on Science, Technology, Engineering, and Mathematics. 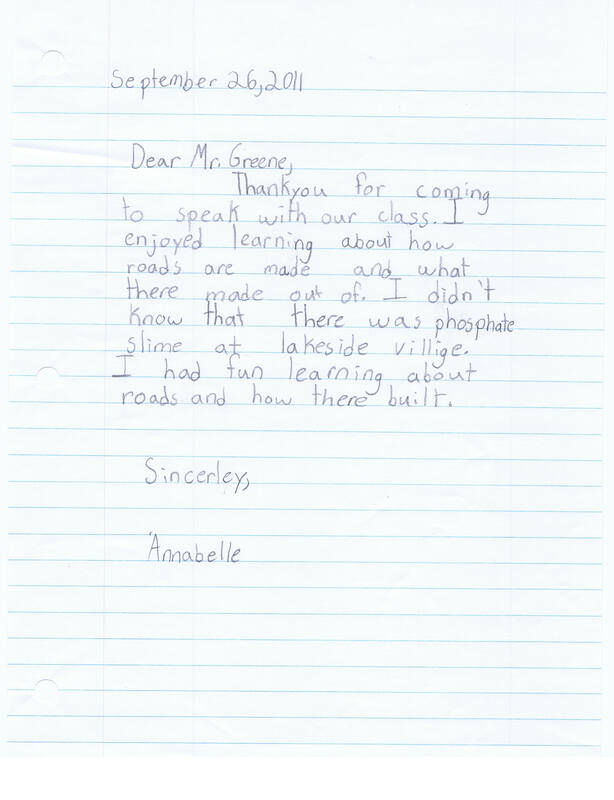 Gordon was invited to give this training to a group of BEA's third graders, who were excited to "design their own road" and asked lots of questions about sink holes! We're not geotechnical engineers, but our answers seemed to make them happy. See below for a photo of Gordon at the school and click here for one of the student thank you notes. We received our official FDOT Disadvantaged Business Enterprise (DBE) certification. PGA was selected by FDOT District One as the prime consultant for a US 17 resurfacing project through downtown Arcadia. We are excited for this great opportunity to work with such a great client! We are teamed with Crossroads Engineering, Inc. and Garrett Engineering Group, Inc. for traffic design services and with HP Engineering, Inc. for structures design services. We have a great team and expect to do an outstanding job for the Department. We received our Minority Business Certification (MBE) from the State of Florida Office of Supplier Diversity.